No child will be denied the opportunity to ski or ride. In 1998, Cochran’s Ski Area became a non-profit organization with a mission “to provide area youth and families with affordable skiing and snowboarding, lessons and race training, in the Cochran tradition.” Cochran’s is the nation’s first IRS 501 (c)(3) tax-exempt ski area. Today, the legacy of Mickey and Ginny and their passion for recreation continues on this Vermont hillside. 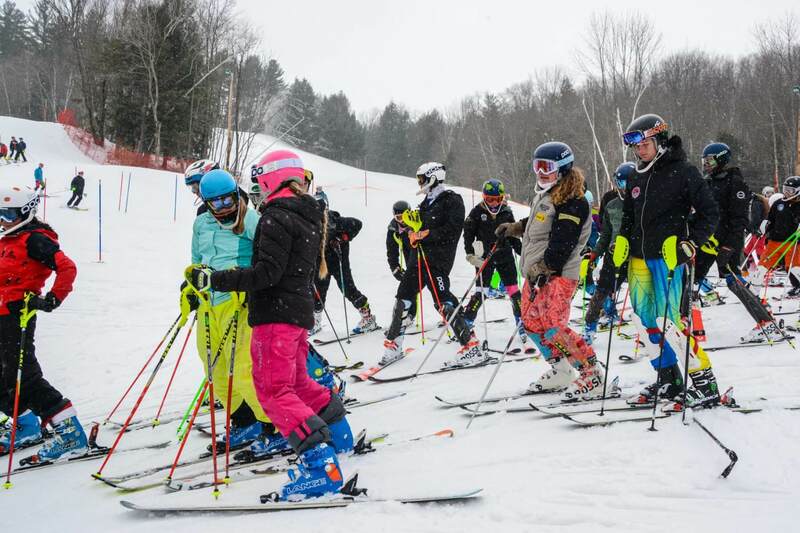 Cochran’s Ski Area hosts weekly races and training for 8 local high schools, shares the hill with 800 kids from elementary school programs, facilitates Races/training for the next generation of Olympic hopefuls in the Cochran Ski Club, and provides an unintimidating place for youngsters to learn to ski. The challenges/costs of cobbling together the snow, people, and machinery to keep the dream alive are larger than ever. Delivering everything from a hot chocolate in a warm lodge to engaging donors/volunteers to repairing/maintaining snowcats to being good environmental stewards of the land means that Cochran’s Ski Area is pretty much always in need of help! The goal beyond today’s random to-do list of fix it, find it, cajole it, kick it is to ensure that generations of Vermonters to come will have the opportunity to ski or ride on this iconic hillside.